As you can see in the renders above, when most phones are plugged in, you're presented with a tablet-styled UI. The device doesn't appear to be touchscreen, but Android has had support for mouse functionality since Android 3.1, so you won't be stuck. In fact, we've seen in multiple product demos from NVIDIA and ASUS that Android with a keyboard and mouse is actually pretty great. 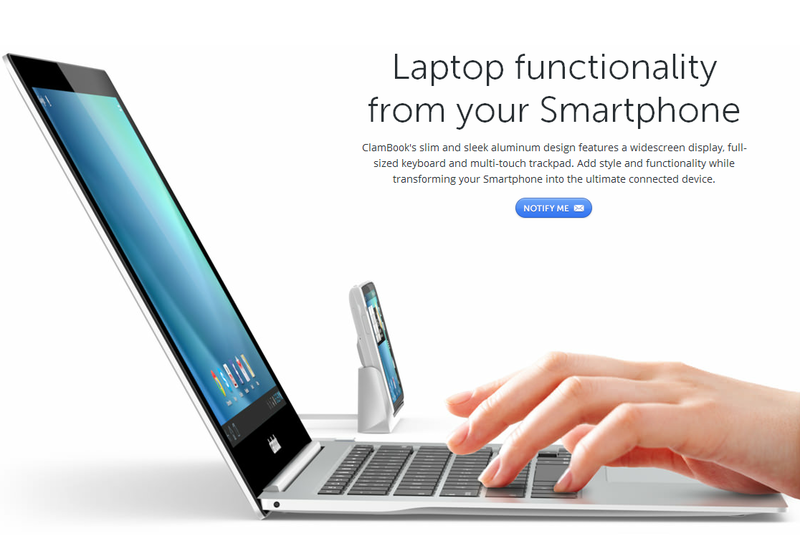 For users who bought a Motorola phone hoping for the Webtop interface, though, ClamBook has you in mind as well. Users with a Webtop-enabled phone can still use the interface Motorola intended. It's unclear whether end-users will have the option of choosing which interface will appear, or if the ClamBook will simply default to whatever UI the phone supports. We've reached out to the company for comment and have yet to hear back. We'll update when we find out more. Another thing you'll notice from the renders is that they're just that. Renders. 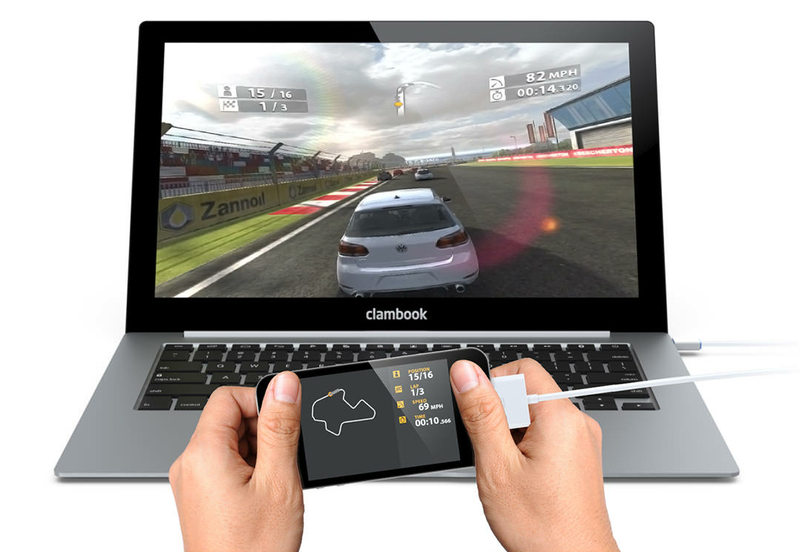 Unfortunately, there are no photos or videos of the ClamBook in action yet. "Notify Me" buttons are spread across the page to let users know when the company has more info which, in the world of peripherals, means there's a decent chance we'll never hear from this product again. Some of the ClamBook features highlighted may use modified software. It is important to note, most manufacturers strongly caution against installing any software that modifies the original device software (this process is often referred to as “jailbreaking” or “rooting”). It is also important to note that unauthorized modification may be a violation of your hardware end-user license agreement and may result in being denied service for devices that have any unauthorized software installed. Modifying your phone can cause irreparable damage and void your warranty. 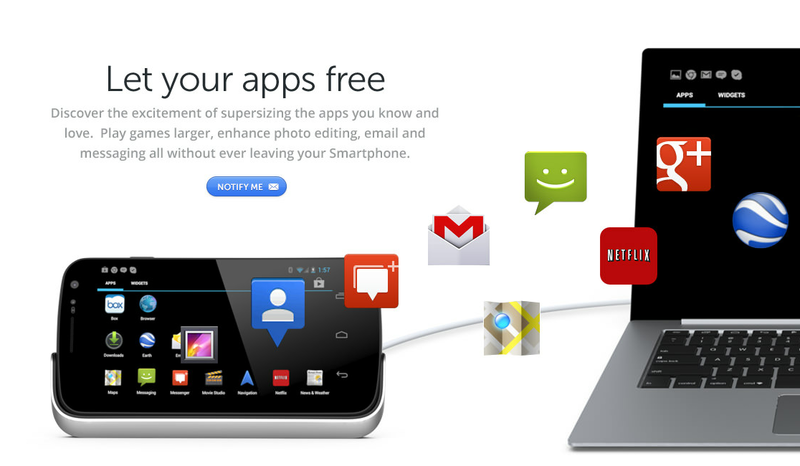 If you choose to use third party software on your device then you do so at your own risk. Yes, it looks very likely that the ClamBook will only work if you have root. While this isn't entirely surprising, it does limit the number of users who can utilize this product. It could also very easily end up being the most expensive root-only accessory you ever buy. Even if this product doesn't make it to market, or if it gets priced into oblivion, or if it's only limited to root users and isn't able to gain a critical mass, we still hope this kind of accessory will make it to the mainstream. Motorola's Webtop seemed like a good idea when it launched. It got bogged down by a parallel tablet OS that it couldn't access, a stripped down Linux build that didn't bring much more than Firefox, and prohibitively high price tag. Still, maybe some day someone will figure out how to do it right. Maybe that someone will be ClamBook.